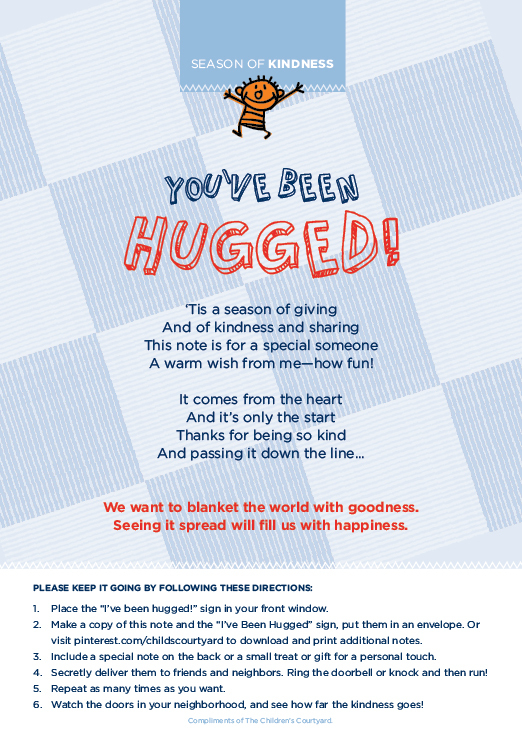 Help us to blanket the world with goodness by participating in our “You’ve Been Hugged” activity! By doing so, you’ll spread the word about our Season of Kindness program and fill your community with happiness! Instructions are below. 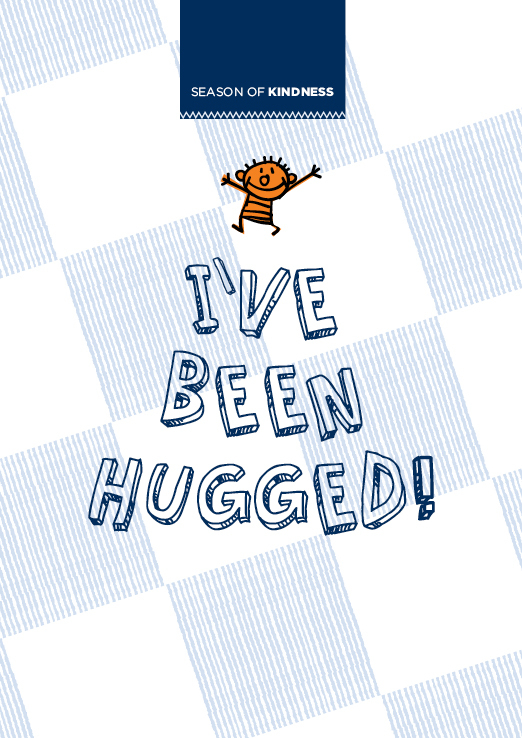 To print off each page, simply click each image to view the PDF.